New Delhi : Farhan Akhtar is back with his Magik, and as the official trailer for Rock On 2 is out now, we can say that compared to old one it is denser, deeper, musical and a must watch for all the Rock On fans. The music is denser, the conflicts are deeper and the performances are musical best; attributes that promises a good entertainer in coming days. 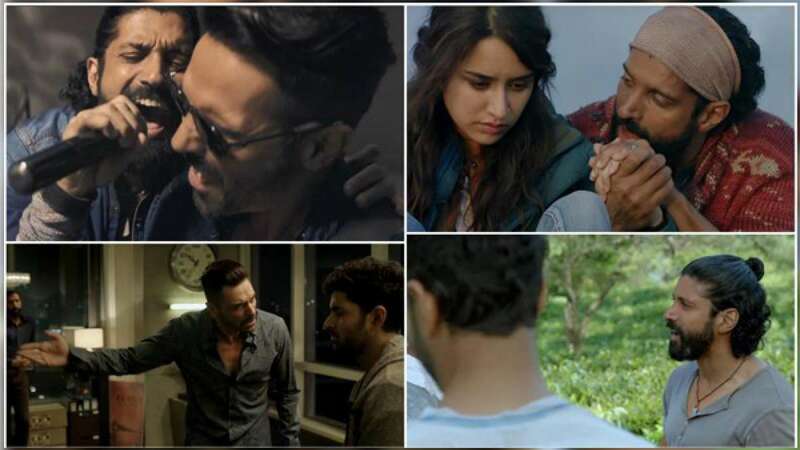 As per trailer, Farhan Akhtar, Arjun Rampal and Purab Kohli reunite to recreate Magik band, joining them in their musical journey are Shraddha Kapoor and Shashank Arora. Prachi Desai and Shahana Goswami, who played Farhan and Arjun's wives respectively in the prequel, are also returning to reprise their roles. So far audiences were exposed to teaser, songs and also posters; but, Rock On 2 trailer has definitely added a new dimension, making wait for the film more difficult. The music, composed by Shankar-Ehsaan-Loy, is already toping the charts and is also receiving praise from all corner of the world. Rock On 2 has been scheduled to release in theatres on November 11, 2016.